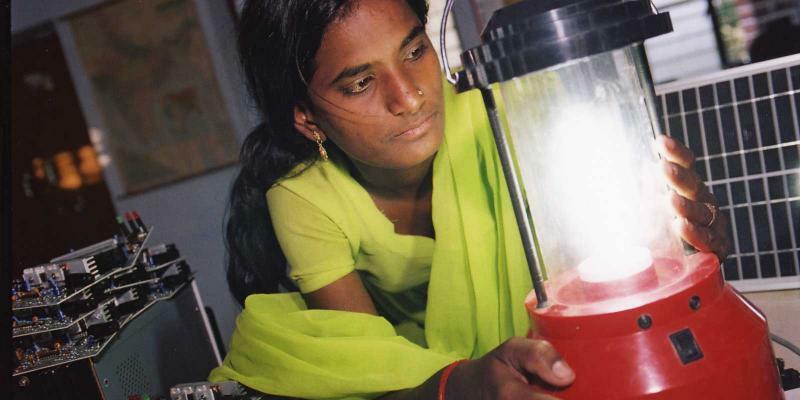 “During the day I clean the house, fetch water and fire wood, and cook food. During the harvest, which is happening now, I also work in the fi elds with my family. When my day’s work is over, I go to the evening school. 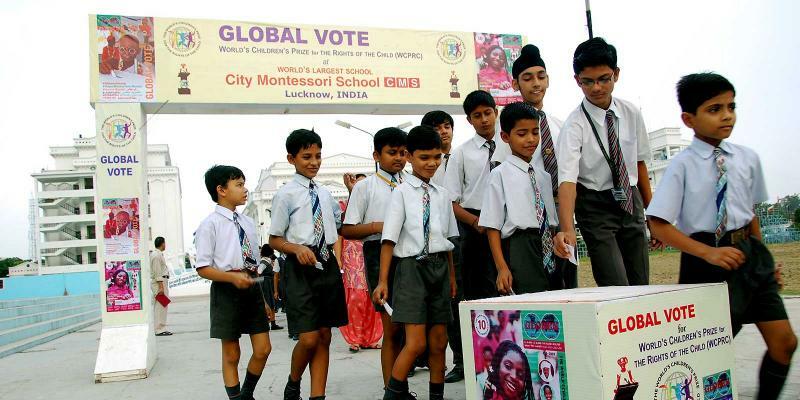 Global Vote shows children are important. 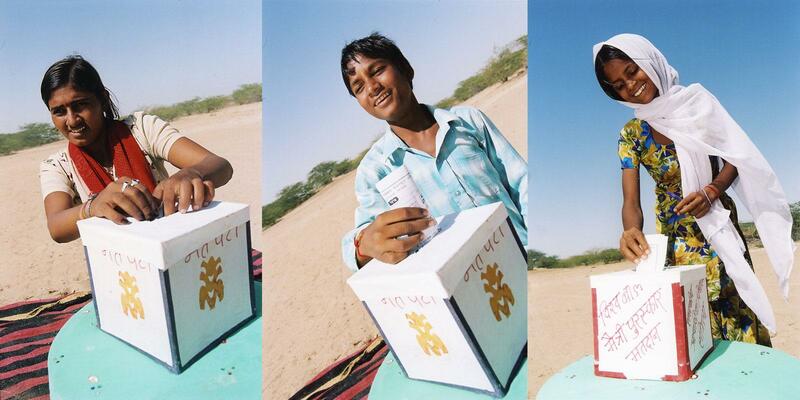 The temperature is 40 degrees in the shade when the children from the evening schools hold their Global Vote in the desert. 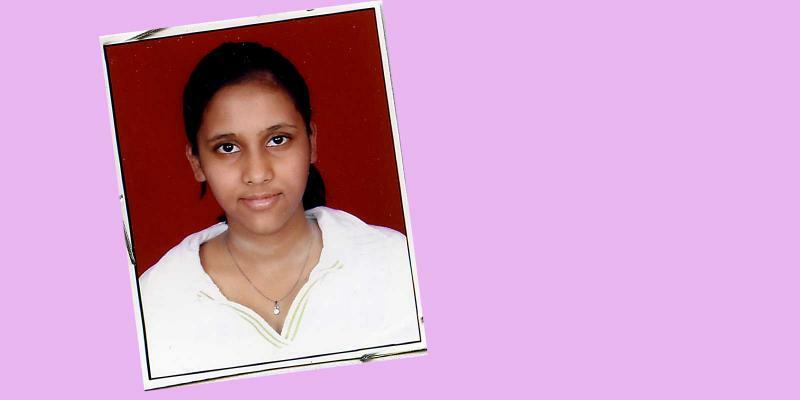 One of the voters is the Minister for Water in the Children’s Parliament, 14-year-old Mathara. “Two months ago, there was a tiny rainfall. Since then not a drop has fallen,” she says. “I am the Minister for Education in the Children’s Parliament. My most important task is to find the children who don’t go to school in the villages where we have evening schools. I make a list and I take it with me to the next meeting of Parliament, and then we meet with the parents and village leaders and try to solve the problem. All children must go to school! 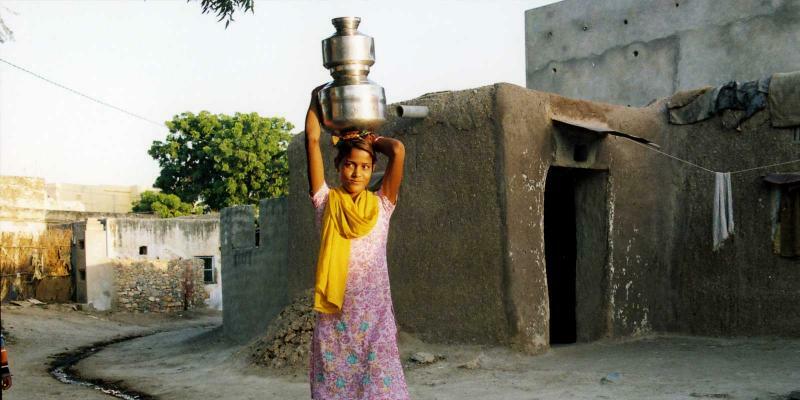 “Here in Rajasthan, there are lots of girls and boys who don’t go to school, but who are forced to work instead. Especially those of us who are poor and belong to the ’untouchable’ caste, also known as Dalits. And even if we manage to get into a normal school, we often face discrimination. Other children don’t want to sit beside us and that sort of thing. Once there was even a teacher in one of our evening schools who refused to teach two Dalit girls. As Minister for Education, it’s my job to go out and tackle situations like that. I told the teacher, and all the parents, that we’d close the school immediately if these two girls didn’t get exactly the same education as all the other children in the village. After that the girls were welcomed, so now the school belongs to all the children in the village! And that’s how things should be. All children are equally important and have the right to a good life - even those of us who are poor. “I am the Minister for Children’s Rights, and the newest minister in the Parliament! It feels great, because now I have the power to do good things for us children. My task is to ensure that all children are treated well in our evening schools. Most importantly, I make sure that not a single teacher hits a single child. If I discover corporal punishment in a school, I report it to the Children’s Parliament and the teacher responsible gets sacked immediately. In India it is very common for children to be beaten, both at home and at school. That makes me angry and sad. How can a teacher hit a child who doesn’t understand? For a child to be able to learn, the teacher has to explain clearly and calmly, at the child’s pace!